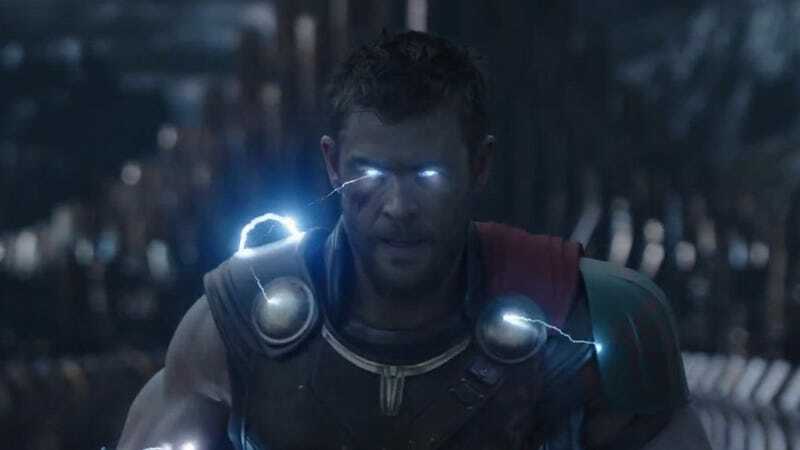 Looks like Mark Ruffalo isn’t the biggest Thor: Ragnarok leaker anymore. During a recent Australian television appearance, both Ruffalo and Chris Hemsworth were forced to play referee after the TV host repeatedly blurted out a pretty important plot twist for the upcoming film. Note how he slams his first. This is an unhappy Thor. During the interview on Australia’s The Project, the host asked Hemsworth and Ruffalo about Hela (Cate Blanchett), the main villain for Thor: Ragnarok. During the interview, the host refers to Hela as Thor’s sister on several occasions—until Hemsworth, looking rightfully ticked off, slams his braceleted fist on the table and chides him for spoiling one of the movie’s bigger twists. Although it’s slightly different in the comics, fans of Thor’s printed adventures probably aren’t that surprised of a familial connection between Hela and the Odinsons. Although Thor: Ragnarok has twisted it so that Thor and Hela share a sibling relationship, in the comics Hela is often referred to as Loki’s daughter—and sometimes as the daughter of one of Loki’s previous incarnations, before a Ragnarok event occurred and replaced an old generation of Asgardians with the current crop. Which makes sense, as in Norse mythology, Loki is Hel’s father. You can watch the full video below, the spoiler incident happens around 6:20. Moral of the story is: I doubt this guy’s getting invited to the afterparty.